Barbra Streisand will perform at the Verizon Center in downtown D.C. on Aug. 18 during a nine-stop tour. Tickets will go on sale May 25 through the Verizon Center website (although if you have an American Express card, you'll get a first shot at tickets this Wednesday). Everyone who buys a ticket online will get a copy of her new album, "ENCORE: Movie Partners Sing Broadway." Streisand will release her new album after the tour ends in late August, her manager, Marty Erlichman, said Monday. 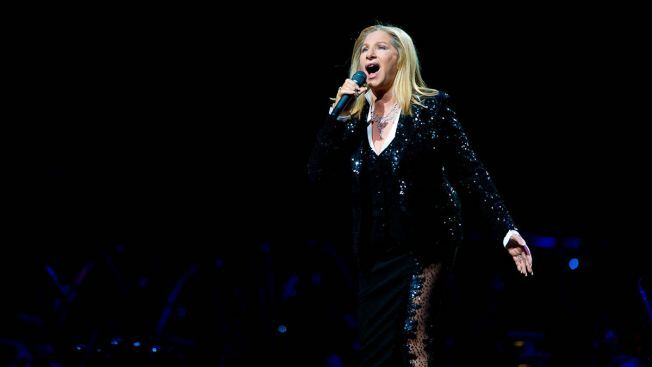 Streisand has not played a D.C. show since 2006, when she sang at the Verizon Center as part of her Streisand Tour. She did visit D.C. in November, when President Obama honored her with the Presidential Medal of Freedom.